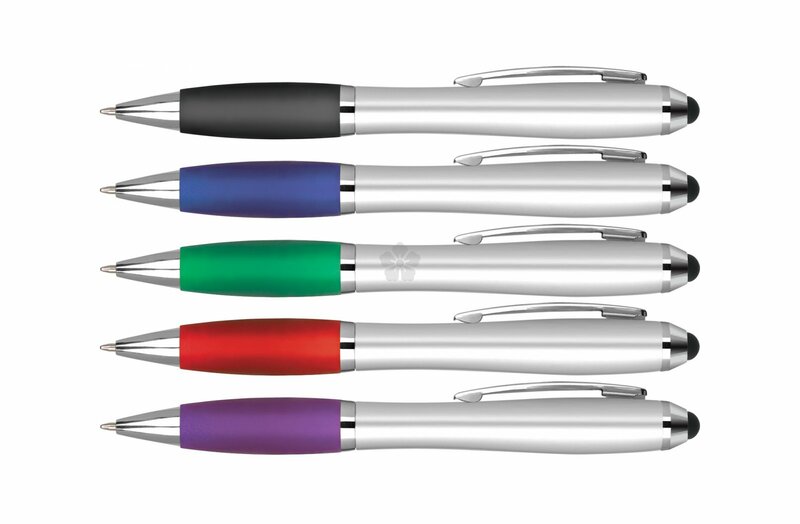 Our best value ballpen is now available as a stylus version with our branded Contour Ballpen! 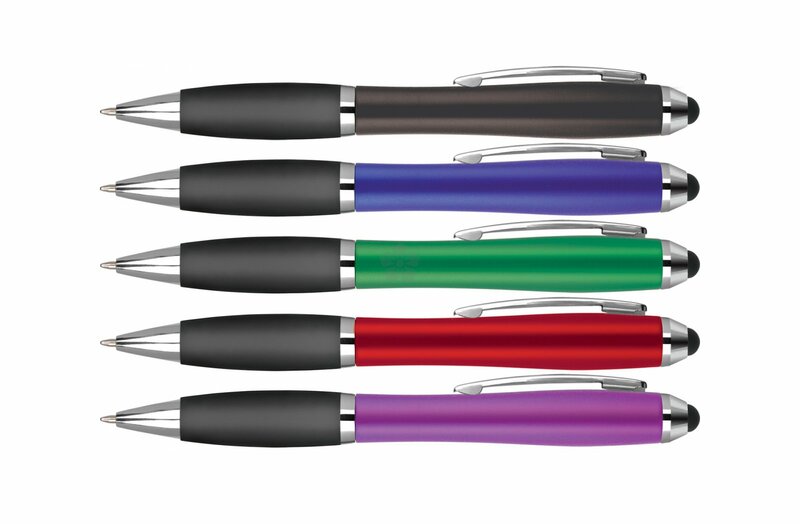 Featuring a soft touch stylus tip, this product is great for use with smart phones and tablets. 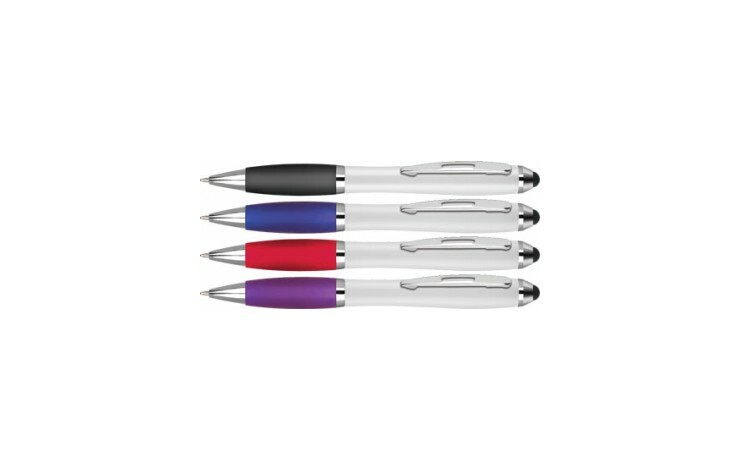 Available in a wide range of colour combination with your design printed beside the clip. Black ink refill as standard. Available with either a coloured, white or silver barrel. 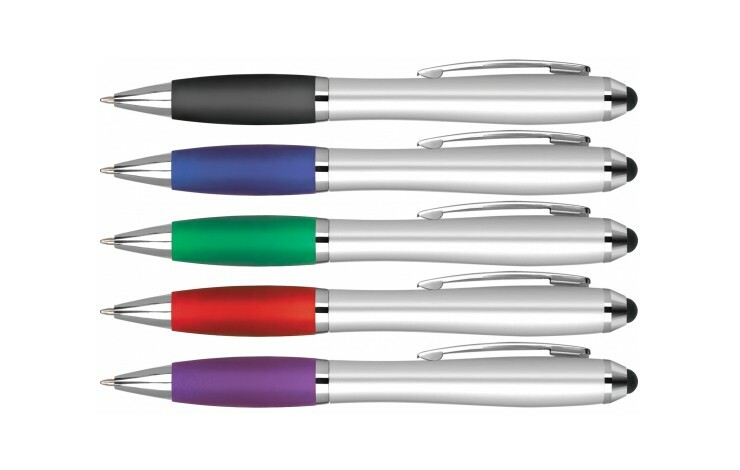 Our great value ballpen just got a technological upgrade to help you work on both paper and iPad. Available in a range of colour-ways.